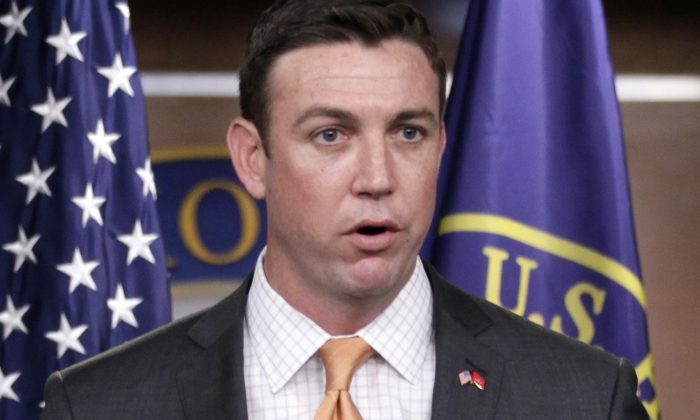 Duncan D. Hunter, a Republican congressman from California, is being questioned about campaign finance filings. Recent expense reports filed by the Federal Elections Committee (FEC) show that Hunter used $1,302 he raised for his reelection campaign on video games and an additional $1,650 for private schooling. Kasper said Hunter’s 13-year-old son, also named Duncan, took his father’s campaign credit card and charged it 67 times—totaling $1,302—from Steam Games, a video game platform that allows you to play dozens of games on their computer. In March, Hunter was tapped by Trump to help lead Trump’s congressional outreach. Hunter is an outspoken defender of violent video games, having written the 2013 Politico article “Target Parenting, Not Games, for Violence” in the aftermath of a mass shooting. The $1,650 for the private school Christian Unified Schools was a donation, according to Kasper and The Daily Beast. The FEC’s senior campaign finance and reviewing analyst, sent a letter to Hunter’s treasurer threatening “an audit or enforcement action” if Hunter didn’t respond to the inquiries into his expenses. The superintendent of Christian Unified Schools, Kelly Smith, said there was no listing of a charitable donation from Hunter. On April 4, Bradley Matheson, the FEC’s senior campaign finance and reviewing analyst, sent a letter to Hunter’s treasurer, threatening “an audit or enforcement action” if Hunter didn’t respond to the inquiries into his expenses. “Requests for extensions of time in which to respond will not be considered,” the FEC warned. The FEC prohibits candidates from putting campaign funds to personal use.